Services available from our Miami interior design firm positively improve the residence with aesthetically beautiful tones and surrounding furniture. We provide this expertise for both commercial and residential properties. Our services are in concept development, project planning, color and material selection, options selection, procurement, budget management, installation, construction, purchasing, supervision, and more! When we provide value for our client’s by performing these services, we perceive success of space planning — along with the entire design project — based upon “how well we have captured and transformed client’s vision into a built reality,” according to our website. We perform a wealth of services for our clients’, while we take full responsibility for the preparation of the project in the conception phase to the final installation of the project. 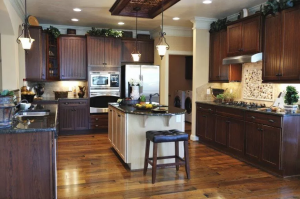 We provide these services exceptionally at each stage of the project, which includes the overall project management of the interior design improvements. 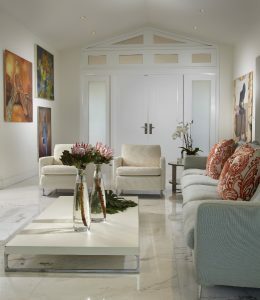 One of the best places our Miami interior design firm excels is in the living room. With an experienced member of our team, customers entail their tastes and preferences, while the members of our team utilize their imagination in the creation of the pinnacle location for family meetings, entertainment, and relaxation. When designing the living room for our client, the interior designer does not just add alterations that seem immaculate for the room. The interior design expert from our team will take a step back and look at the entirety of the residence to ensure that an overall cohesion is provided in the final product. Therefore, it is imperative to remember that designing the living room space is not only placing brand new and existing furniture, window drapery, wall painting, and flooring; rather, the final product will be reflective of the entire residence. Our company is confident in providing these services, as we are well known for excellence and innovation in the design of the living room. We want this to be the perfect place for relaxation. On Father’s Day (Sunday, June 18, 2017), for instance, having a complete and cozy living room provides the perfect location for celebrations. Following dinner at a favorite restaurant, the family can return to their residence to continue the celebration. appearance of the furniture and artwork. When the family relaxes in the living room, their minds will become stimulated by the beauty and cohesion of the living room. This promises continued conversations and the opportunity to build closer bonds with one another — all because of our excellent services, guided by the client’s vision, in the living room. Another area of the home our interior design agency in Miami specializes in is the dining room. We provide well-planned designs that juxtapose furniture and accents to create the best environment for spending time with family and entertaining guest. Our company, which is based in South Florida, “is well equipped with a team of creative professionals who specialize in the interior design of dining areas of your home as well as restaurants. Your design ideas and wishes are the foundations upon which we build our design solutions that are aesthetic and functional,” according to our website. It is imperative that we excel in these services because the formal dining rooms are one of the most significant locations within the residence. It is one of the rooms where memories are made, whether they be from stimulating conversation to delectable foods to enjoy. When we design the living room, we place careful attention on selecting the perfect dining table and chairs, which ensures that this space compliments client’s vision, along with being in harmony with the remainder of the residence. Another place our Miami interior design company specializes in for gatherings is the kitchen. Since many memories are made in this location of the residence, it is imperative to choose our firm — the best interior designer in Miami. For both men and women who are passionate cooks, to have the kitchen designed by an interior designer from our team ensures that the space has the best components, along with an impressive appeal that makes the person excited about the process of cooking. This room used for food preparation will be practical and have the appliances needed to make the best meal on a consistent basis. While cooking, the chef can become immersed in the activity, as they feel comfortable and content in the space and seek to create the best meal for long-term memories. 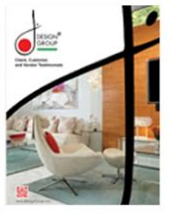 Our interior design firm in Miami is constantly going above and beyond for each of our customers. We provide the best interior design services for each client, by providing extraordinary attention to detail and expertise, during the entire design process. For customers who are interested in having the spaces improved in their residence that was mentioned in the article, along with those who have general to specific questions, are encouraged to reach out to one of our skilled members on our team. To chat with one of our interior design specialists, please call (305) 444-4611. Alternatively, customers are welcomed to visit our store, which is located in the historic Coral Gables, on Malaga Ave.